Q: What blogger inspires you? It can be any kind, it doesn't have to be a book blog. Also... Jade Varden at Jade Varden Official Blog because she posts almost EVERY day about how to write better and great books and EVERYTHING is sooo helpful and amazing!! 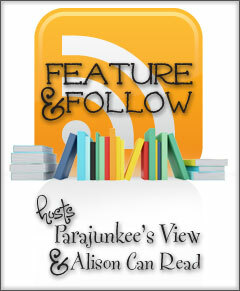 And the 2 Book blogs I love most are Lee at Rally The Readers and Jessica at a GREAT read because both of these blogs have the bestest reviews of all the best books and I have to read them!! DONT forget to let me know ifyou are a new follower so I can follow you back. And you can check out my 100 Follower giveaway too!!! Awww! Thanks for mentioning me!! I have too many blogs that inspire me to be able to name them all! Thanks for stopping by and following my blog- I'm here to return the favour. New GFC Follower! I haven't heard of that blog. I'm a new GFC follower. Love Rally the Readers ~ Great choice!! I really admire bloggers who are able to post every day. That's real dedication and commitment right there! The others are new blogs to me - I will definitely have to check them out! Facebook!! Do you REALLY not have a page yet?? ?